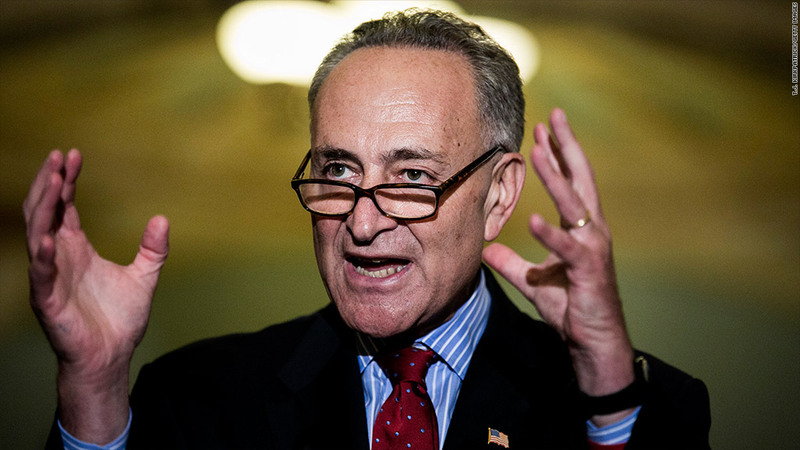 U.S. Sen. Charles Schumer, a New York Democrat, says that savings from closing tax loopholes should pay down deficits, not lower taxes for the wealthy. Tax loopholes should be closed, and the savings should pay down deficits, not lower taxes for the wealthy, according to Charles Schumer, the No. 3 Senate Democrat. "It is an alluring prospect to cut taxes on the wealthiest people and somehow still reduce the deficit, but you can't have your cake and eat it, too," Schumer said Tuesday, in a speech at the National Press Club. Schumer dismissed the tax policy model put forth by the Bowles-Simpson plan, a bipartisan proposal that was commissioned and then ignored by President Obama. In that model, lawmakers would eliminate tax loopholes so that more people and companies pay taxes. The plan also proposed reducing the tax rate for top earners to between 23% and 29%. Today the top rate is 35%, and it's slated to rise next year to 39.6%. Schumer called that model a "trap of tax reform," especially for the middle class. There's not enough money to lower tax rates for the upper income and also reduce deficits, Schumer said. He warned that middle-class families, many of whom enjoy tax breaks like an itemized deduction for mortgage interest rates, may feel the biggest squeeze. "To raise enough money to both reduce tax rates and cut the deficit, you would need to slash deductions and credits on a far greater scale than we ever did in 1986 -- middle-income earners would not be spared," Schumer said. The Senator said the middle class needs to be protected. He pointed out the growing income inequality over the last few decades as a reason why the wealthy should pay more. Schumer's stand might be at odds with other members of Congress who are trying to reach a consensus on overhauling the tax code, using principles of the Bowles-Simpson plan. A group of eight senators from both political parties, dubbed the "gang of 8," is meeting Tuesday in Mount Vernon, Va., to talk about spending cuts and tax changes to avoid the fiscal cliff at the end of the year, according to CNN. Many of those lawmakers have been meeting for more than two years and have so far failed to reach a grand bargain to reduce the debt. Senate Minority Leader Mitch McConnell, a Republican from Kentucky, wasted no time blasting Schumer. "Senior Democrats are now openly acknowledging their plan to hold the economy hostage to massive, job-killing tax hikes," McConnell said in a statement. Congress isn't expected to begin serious talks on tax reforms until after the Nov. 6 elections. Lawmakers are under pressure to make changes to the U.S. tax code. That's because massive tax hikes and across-the-board cuts to federal agencies will kick in the first week of January if Congress doesn't act to prevent the country from going over the fiscal cliff. Schumer said he believes lawmakers will reach an agreement before the end of the year. "People want to come to a deal," Schumer said. Schumer stopped short of offering any ideas but said Democrats must get serious about tackling reforms to entitlement programs like Medicare. The Bowles-Simpson plan, which Schumer dismissed, is largely embraced by the business community. Erskine Bowles was a White House chief of staff under President Bill Clinton, while Alan Simpson is a former Republican senator. They co-chaired the President's debt reduction commission in 2010. -- CNN's Ted Barrett and Dana Bash contributed to this report.